It’s that time of year again, when the NBA (that baseball player, Michael Jordan, played with this group for a while) gets together in Las Vegas to have their summer league. Yes, all the youngsters, fresh out of college or foreign countries, converge upon Sin City to try to throw a ball through a netted hoop. It’s during this event that some of them will earn invitations to ‘the cool kids’ table’, and they get to repeat this activity for months on end throughout the winter and spring. Anyhoo, we took to the festivities and charades, and sent a small tribe of camera and audio folks to the Mandarin Oriental to do some television makin’. 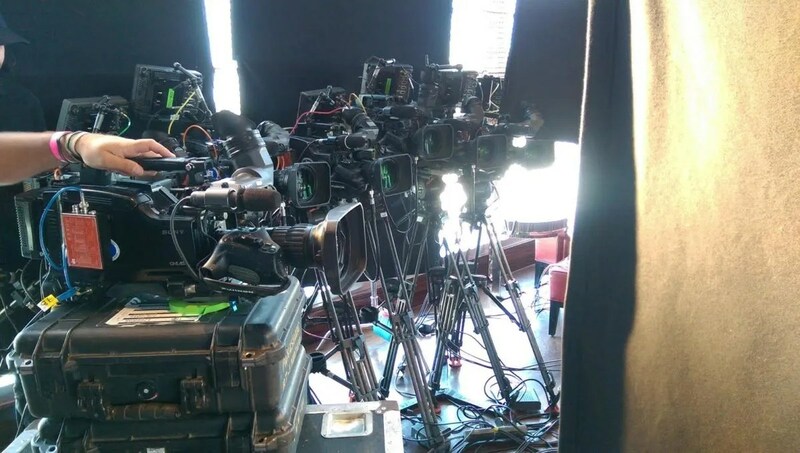 Seven cameras, a dana dolly, a slew of microphones, and many a soft, diffused light made for grand times as we captured two, yes, two hour-long episodes of basketball television bliss. It was a long day, but that’s just what we love; half-days are half a day to short in our opinion. Until next time, may your dunks break backboards, and may your dribbles never be double.